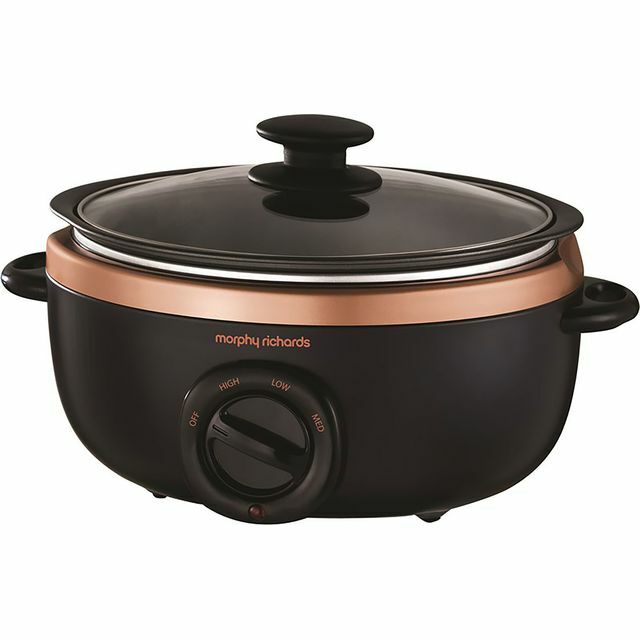 This Morphy Richards slow cooker is ideal for when you want to come home to a ready-to-eat meal. 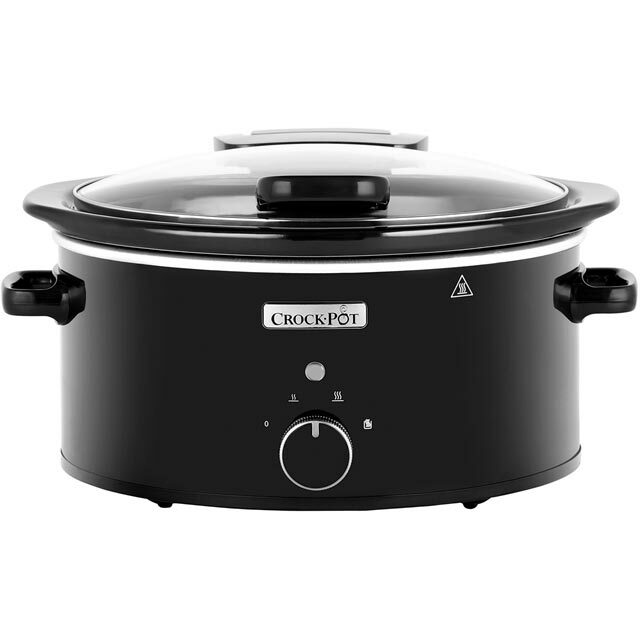 With its 6.5 litre capacity, it can make a hearty stew or flavoursome curry for the whole family. 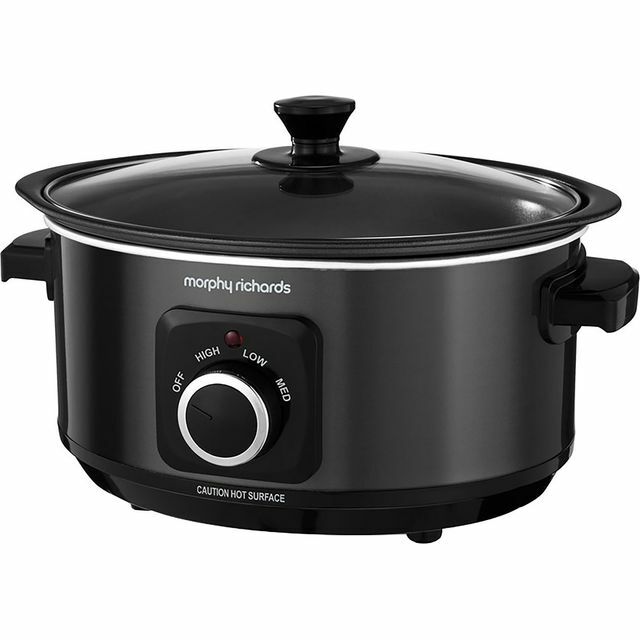 It has 3 heat settings too, so you’ll be able to set the perfect temperature for every dish. And, thanks to the removable hob-proof pot, you can brown meat without using a separate pan. The cooker has cool touch handles so it’s easy to pick up if you need to, while the inner cooking pot is dishwasher safe, so keeping it clean is simple as well. Light weight easy to clean. Modern design. Large capacity. Good quality. The slow cooker has a metal insert which means that meat, onions etc can be sealed or browned on the hob and then the insert just drops into the slow cooker. 6.5 litres gives more than enough colume for a family of 5 and the contents cn be returned to the hob again to "reduce" sauces. I plan to wear it out. Due to the fact that our old ( 1 year old ) slow cooker went pop when someone plugged it in, leaving the flex over a lighted gas hob, ( not recommended ! ) I have been desperate for a new one. Not only are they good for stews and curries, but also stocks, confit duck/rabbit, soups, jams and chutneys. 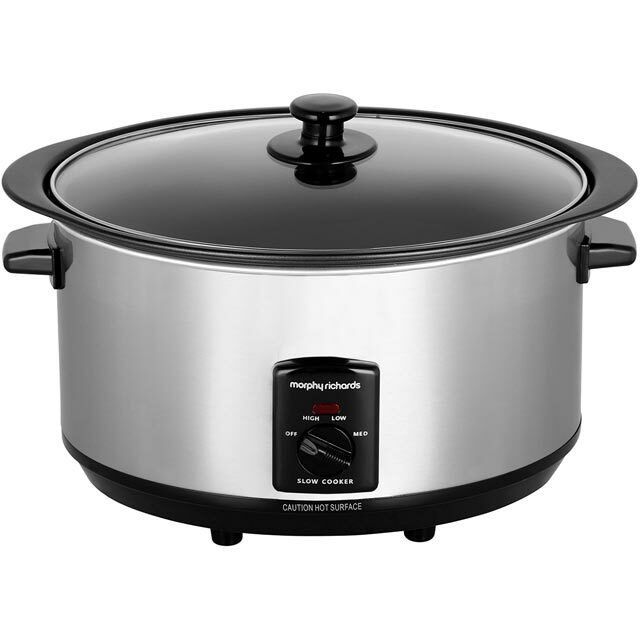 I love my slow cooker so much that I ordered 2, the other to give as a present to a good friend. They are so economical as well, instead of having something bubbling away on the gas hob for hours at a time and being tied to the kitchen, with a bit of prep. the night before, switch on in the morning, go to work,come home and the supper is done. The only down side is that if you have a small kitchen as I do, finding space to store it can be challenging. A great product and it's easy to use.It looks stylish in the kitchen and comes in other colours. 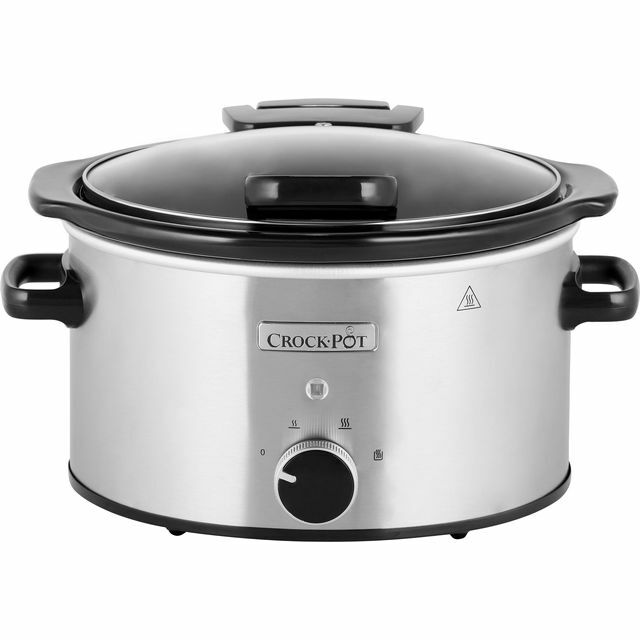 I already owned a 3.5 litre slow cooker and was looking for a larger capacity. AO provided my exact requirements at a reasonable cost. It has proved to be an excellent product, easy to use and washes well. It enables me to cook for a large family meal with ease.